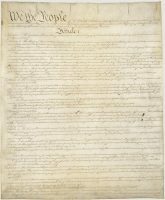 What Does The Constitution Have To Say About Cannabis Legalization? With the Trump Administration sending mixed signals on legal cannabis, and with Congress beginning to ramp up efforts for reform, in order for industry stakeholders to best understand where we are headed, it will be helpful to remember how we got here. As readers may be aware, the current status of federal cannabis law can be traced back to the legislative prong of Richard Nixon’s War on Drugs. His Controlled Substances Act of 1970 (CSA) made it a federal crime for anyone to use or possess any amount of marijuana anywhere in the U.S. Current federal cannabis policy, on the other hand, complicates the matter, and can be traced back to a memorandum issued in 2013 by then-Deputy Attorney General James M. Cole. The Cole Memo instructed U.S. attorneys general in states that have legalized marijuana to use their limited resources in prosecuting CSA offenses only if they violated specific federal enforcement priorities. The highest of these priorities include diverting legal marijuana business revenues to illegal drug operations, transporting marijuana over state lines, making marijuana accessible to minors, and growing marijuana on federal lands. The problem is that the Cole Memo is only a policy, it is not law; and so not only can the current administration unilaterally change it whenever it wants, but state-legal cannabis businesses, their employees and customers are breaking federal law every single day! This is a very unusual situation to be in for both the states and the feds, and it raises two basic constitutional questions: What gives the feds the right to make cannabis illegal everywhere in the U.S.? And how can states simply defy the prohibition? The first question was in fact answered by the U.S. Supreme Court in 2005 when two California women (Diane Monson and Angel Raich), both with very serious illnesses, sued the federal government for confiscating their state-legal medical cannabis. The feds defended their actions by claiming that the Constitution’s Commerce Clause gave them the authority to march into California, march into the homes of these women, and enforce the CSA. Diane and Angel argued that the Commerce Clause only gives the feds the authority over interstate commerce; and since their cannabis was grown by themselves, used by themselves, never bought or sold, or transported out of the state, it was therefore wholly intrastate cannabis and had nothing at all to do with interstate commerce. The Court sided with the feds, ruling that even though the cannabis was intrastate, when you take all intrastate cannabis activity like that and add it together, it will have a substantial impact on the interstate cannabis market. Because of that connection it was ‘necessary and proper’ for the feds to enact the CSA and enforce it anywhere in the country they wanted. 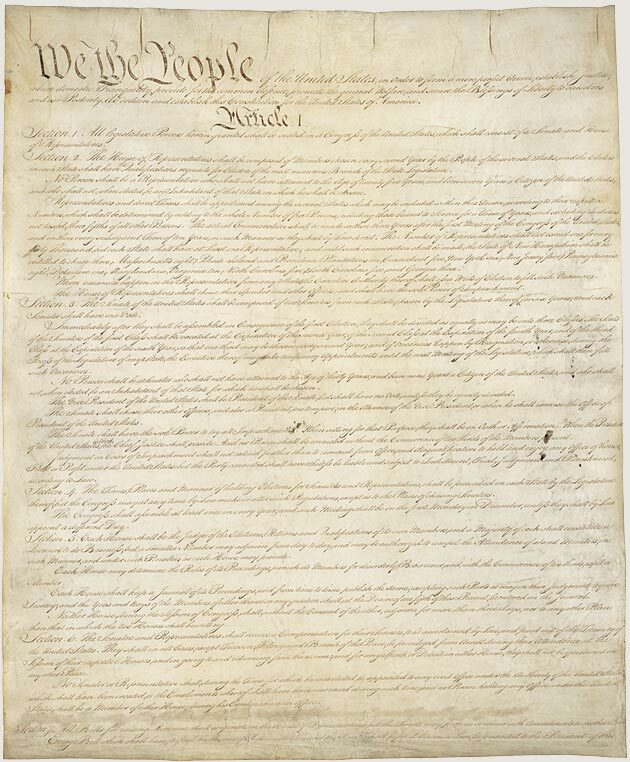 Although there is still much debate over this ruling, it remains the law of the land to this day. Fast forward to 2014. The states of Nebraska and Oklahoma sued Colorado claiming that by legalizing marijuana, Colorado was violating federal law under the CSA. Because federal law overrides state law when they conflict, then Colorado’s cannabis laws must be struck down, or so they argued. In response Colorado took a very interesting position that built on the hard realities of the cannabis market. It is best to explain it in four parts. First, they cited the fact that the federal government lacked the resources to enforce the CSA, a claim which the feds have admitted to themselves. Second, Colorado pointed to a constitutional doctrine called ‘anti-commandeering’, which says that they have no obligation to criminalize cannabis at all. If the feds want to make it a federal crime, that is one thing; but that does not mean CO must make it a state crime as well. Third, Colorado said that by regulating cannabis as extensively and strictly as they have done, they are reducing the amount of cannabis activity compared to not regulating it at all. Taken together, this means that because Colorado does not have to criminalize cannabis, and because the federal government cannot enforce their own criminalization, then Colorado is actually helping out the feds by regulating the drug instead of allowing for a free-for-all under state law. In March of 2016 the Supreme Court declined to hear the case in full or issue an opinion, which had the effect of giving a default victory to Colorado. Among political and legal commentators the speculation is that enough justices on the Court either agreed with the logic of Colorado’s position or wanted to wait for this federal-state controversy to be worked out by Congress. Because it was only a default victory, the constitutional status of the legal cannabis industry remains on unprecedented and unstable ground. The Controlled Substances Act has not yet been found to preempt state law, so cannabis businesses are still able to operate legally in their state. But because the CSA still applies to everyone, they do so at the whim of the Trump Administration’s policy preferences. The confusion that this presents has put cannabis businesses in many difficult situations, and it serves as the legal backdrop for such familiar problems as access to banking and contract enforcement. Currently, legislative and judicial fixes are in motion. Related cannabis litigation is pending in federal court at the 10th Circuit Court of Appeals in Denver. 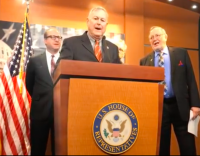 And a Cannabis Caucus has formed in the U.S. Congress to address the shortcomings of the CSA. In the coming articles we will explore both of these routes to reform, the likelihoods of various possible outcomes, and the impact they will have on the legal cannabis industry.